Glenhaven Public School is a caring school, proud of its tradition of promoting academic, cultural excellence and high personal standards and values. Our dedicated staff, comprehensive programs and supportive community ensure our students are offered the best possible fully rounded education to prepare them for life. On April 26th, 1888 the residents of Sandhurst, as Glenhaven was then known, lodged an application for the establishment of a school. Glenhaven Public School was opened on March 4, 1889 with 28 pupils, 18 Boys and 10 Girls. Glenhaven Public School was founded in 1889 but was called "Sandhurst'. In 1893 it became known as "The Haven School" and subsequently as Glenhaven. 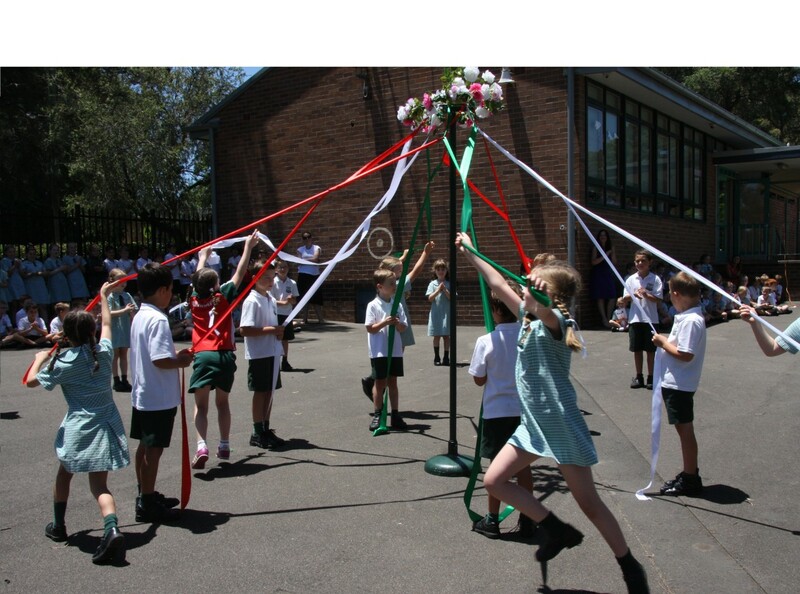 Image: Students at Glenhaven Public School participating in Maypole dancing.